The public forum team poses for a picture at the hotel before going to rounds. The Harvard Tournament is traditionally freshmen's first exposure to traveling with the team. Photo courtesy Ethan Singer. 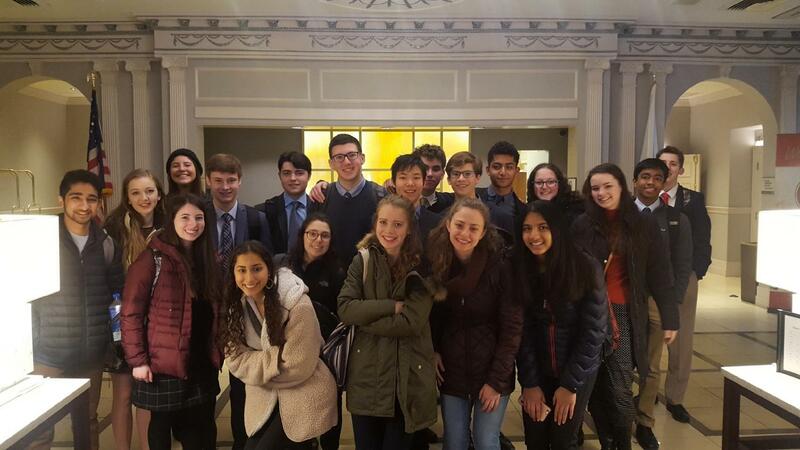 The Speech & Debate team wrapped up February with successful runs at the Harvard National Forensics Tournament and Chesapeake District Tournament. Multiple debaters and speech participants qualified to represent the Chesapeake area at Nationals and completed their qualifications to the prestigious Tournament of Champions in April. At the Chesapeake District Tournament over the weekend of Feb. 24 and 25, junior Angel Zhang placed second in the speech event oral interpretation. The team of Feuer and Sylvester placed third in public forum debate. The top three competitors in each event qualify to represent the Chesapeake area at the end-of-year National Speech and Debate Tournament in Dallas, TX. At the Harvard tournament over President’s Day weekend, the team had strong results over a variety of age groups. 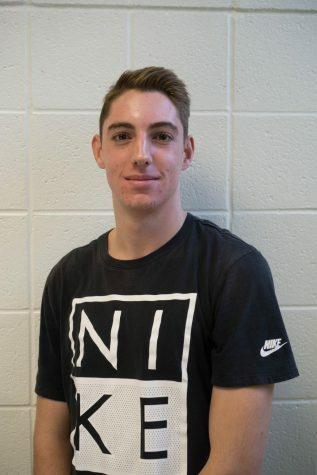 In Varsity Lincoln Douglass, sophomore Ben Waldman advanced to triple-octafinals (top 64). Senior Daniel Harris advanced to quarterfinals (top 8), completing his qualification to the Tournament of Champions. In varsity Public Forum, seniors Zoe Kaufmann and Azraf Khan, as well as seniors Yasmeen Gauri and Maeve Trainor, advanced to triple-octafinals. Seniors Hannah Feuer and Elizabeth Hepburn advanced to octafinals (top 16), earning their second gold bid to the Tournament of Champions and completing their qualification. In JV Lincoln Douglass, sophomore Toby Goldberg advanced to triple-octafinals and was 19th speaker. In JV Public Forum, freshmen Katheryne Dwyer and Zoe Cantor advanced to double octafinals (top 32) and freshmen Vishnu Dandi and Sophia Polly-Finshe advanced to octafinals. Dandi was also 5th speaker.